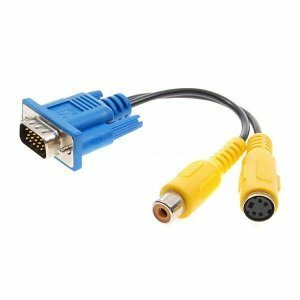 The VGA to s-video and RCA female cable is perfect for laptop and PC with VGA cards that have TV-Out function capability through the VGA connector. This cable is VGA connector on one end and both RCA jack Video (TV) out and S-Video out connectors on the other end. The VGA cable to s-video and RCA cable is perfect to connector your PC or laptop to TV. ВНИМАНИЕ! Вашата графична карта трябва да поддържа ТВ изход директно през VGA порта и. Проверете в ръководството за ползване на вашата графична карта за повече информация! USB 2.0 Extension Cable AM/AF 3m.